The official iPhone app for ultra-popular MBC Wednesday and Thursday drama series The Moon that Embraces the Sun (The Sun and the Moon) has been released. The application is available as one-year service and is now available for free download from iTunes App Store. 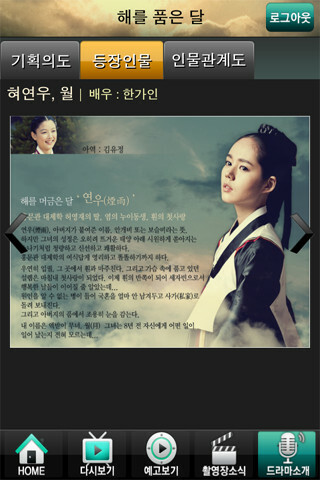 An Android version of The Moon that Embraces the Sun is also available.